What may be possible to do with the new imagery available from the Next Generation of Satellites? How can one obtain the data? Are there training materials available? 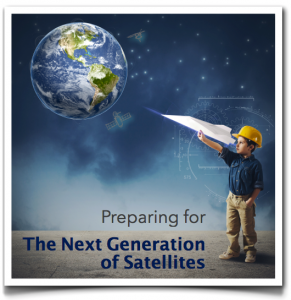 These are just some of the questions that most users have in mind as they try to prepare for the next generation of satellites. Because some of the new satellites are already in use while others are yet to become active, the amount of information about each satellite is different and may not be as widely available yet. This Event aimed to give a general update on what is available, what is coming next and also provide the opportunity for dialogue. The Event was composed of a selection of webinars presented from 16 to 20 November by Japan Meteorological Agency – JMA, China Meteorological Administration – CMA, India Meteorological Department – IMD, National Oceanic and Atmospheric Administration – NOAA, Cooperative Institute for Research in the Atmosphere – CIRA, European Organisation for the Exploitation of Meteorological Satellites – EUMETSAT, National Institute for Space Research – INPE, Korea Meteorological Administration – KMA and the COMET Program. This Event was organised in accordance with the Mission and Strategic Drivers of VLab and also keeps with the aims of the WMO Global Campus. Presenters: Sh A K Sharma, DDGM (Sat Met) and Sh Virendra Singh, Scientist ‘E’, IMD. Overview: The presenters will cover the introduction of INSAT-3D satellite payloads, details of images generated and their dissemination, details of products generated from INSAT-3D and their dissemination along with examples of application. Overview: The GOES-R launch has been moved back to October 2016, providing more time for preparations. This talk will provide an updated overview of the characteristics of GOES-R, which includes the instruments, imager channels and the position of the satellite at launch. In preparation for GOES-R, the US has utilized a Proving Ground concept and created satellite liaison positions to train forecasters throughout the National Weather Service on this next generation satellite technology. In addition to the GOES-R overview, this talk will also provide a liaison perspective from NOAA’s Aviation Weather Center, including roles and responsibilities as well examples and applications of GOES-R imagery and products in operations. Overview: Hiamwari-8 is the next generation geostationary meteorological satellite and JMA has started its operation on 7 July 2015. This presentation offers an introduction of the Himawari-8, which will support the usage of its imagery. Particularly, this session will present an overview of the Himawari-8, its operation status and performance, and also data access. Overview: Are you familiar with these acronyms: WMO VLab, VISIT, SHyMet, CIRA, CIMSS, COMET, SPoRT, NWS WDTD and FDTD, GRB, CSPP, GNC-A, McIDAS-V, ILWIS, GDAL? This presentation will give a 15 minute tour of the groups and organizations that play a significant role in the training delivered to the US forecaster followed by a 15 minute tour of ways to access data and imagery. The focus includes training for the next generation of satellites and access and usage outside the US. Overview: Fengyun-4 (FY-4) is the secondary generation geostationary satellite series in China, whose first experimental member (FY-4A) is scheduled to be launched at the end of 2016. As an outstanding feature, the complete three-dimensional observations with high temporal (1 minute for region with its size at the 103 Km2 order), spatial (500m for visible band at nadir) and spectral (0.8cm-1 for long-wave infrared band) resolutions between visible and thermal infrared spectrums are coming into reality next year, which is widely believed to be the new era of GEO observation at least for CMA. In this presentation, the main recently progresses of the space- and ground- segments of FY-4A are introduced briefly and some new capabilities, e.g. new spectral bands compared with FY-2 VISSR, new measurement results from lightning imager as well as interfering sounding, are also discussed in detail. Meanwhile, the latest data and product service plans, for example data broadcasting and sharing, product distributing and emergency observation support, are presented to benefit the user community especially for the East Asia area as expectations. Overview: This presentation will first summarise the main benefits from MSG and then focus on Meteosat Third Generation (MTG) Imaging Satellite (MTG-I) and its main instruments: the Flexible Combined Imager (FCI) and the Lightning Imager (LI). The benefits from the improved spatial and temporal sampling and from the new FCI channels will be shown. Particular focus will be on the NIR2.2 channel for cloud microphysical properties. For this, MODIS and AHI example images will be compared to MSG images. Finally, the LI and its differences to ground-based lightning detection networks will be discussed. Overview: Himawari-8 features the new 16-bands Advanced Himawari Imager (AHI), which has improved spatial resolution and observation frequency over those of its predecessor MTSAT-series satellites. Utilizing these improvements, JMA/MSC has enhanced L-2 products such as cloud products, atmospheric motion vectors (AMVs) and clear sky radiances (CSRs). In this session, some of the L-2 products as well as RGB composite imagery of Himawari-8 will be introduced. Overview: This webinar will address some basic aspects of the new generation of geostationary satellites over the Americas, such as new instruments and data dissemination changes. The Community Satellite Processing Package for Geostationary Data (CSPP-GEO) will be presented. New products and expected improvements of the current ones will be discussed as well as new dissemination challenges and processing tools like GeonetCast Americas and SigmaCast. Overview: The Joint Polar Satellite System (JPSS) is the US’s next generation of polar-orbiting environmental satellites. JPSS-1 is expected to be launched in late 2016 and will become NOAA-20. Suomi National Polar-orbiting Partnership (Suomi NPP), currently in orbit, is considered the bridge between NOAA’s legacy polar satellites, NASA’s Earth observing missions, and JPSS. The JPSS program has joined the GOES-R program in promoting a Proving Ground approach to preparing for new satellites in the US with additional support from strategically located satellite liaison positions. This talk will provide a brief overview of the JPSS instruments and existing and potential products for users and provide perspectives from a liaison at NOAA’s Center for Weather and Climate Prediction. Overview: KMA has developing COMS follow-on geostationary meteorological satellite(Geo-KOMPSAT-2A, GK-2A) by 2018, which will be launched in June 2018. It has a Himawari-8/AHI-like sensor, named Advanced Meteorological Imager (AMI). GK-2A/AMI will provide huge observational data through 16 channels with high spatial and temporal resolutions. This presentation provides the status and plans of meteorological products development and their applications for hazardous weather monitoring, numerical weather prediction and so on. Overview: UCAR’s COMET Program works with sponsors from NOAA, EUMETSAT, and the Meteorological Service of Canada to develop self-paced training materials to help users keep up with advances in satellite meteorology technology and products. This session will highlight existing training materials and provide tips on how to leverage the MetEd website to access, organize, and interact with the library of available lessons.